By buying this product you can collect up to 103 loyalty points. Your cart will total 103 points that can be converted into a voucher of £1.03. Got this in a lucky dip. Vaped well but I wasn't impressed with the flavour. To me it tasted like your doctor had prescribed you medicine when you were a child, told you it tasted like cherry, but it didn't really. gave it 2 stars as I was still able to vape it. 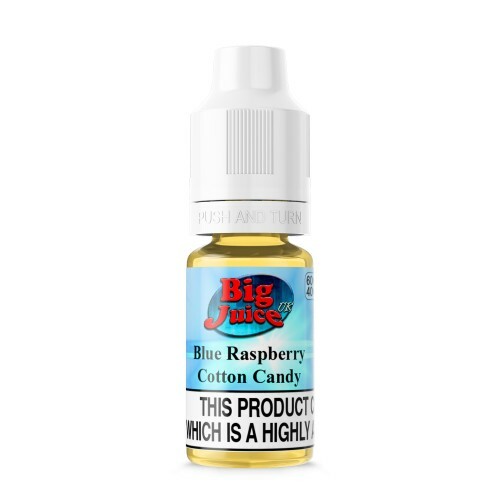 Once again... big thumbs up to big juice.... cherry drops is amazing, full flavor, good vapor production, the big juice master mixers have it bang on again.... cheers all. produces great vape! not a strong flavor i must say, it tastes kind of sweet but there's not a lot of flavor. i wouldn't recommend this flavor.